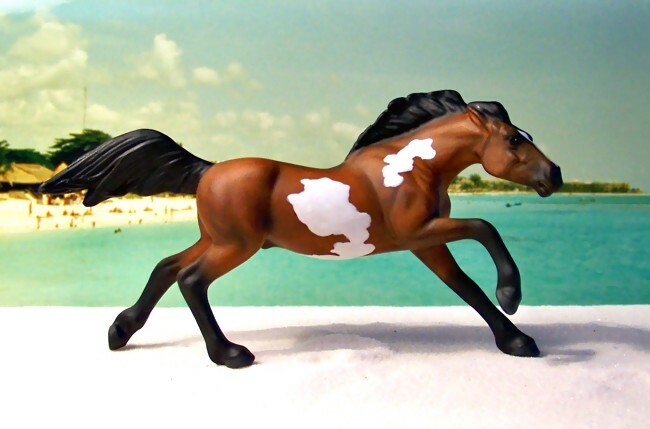 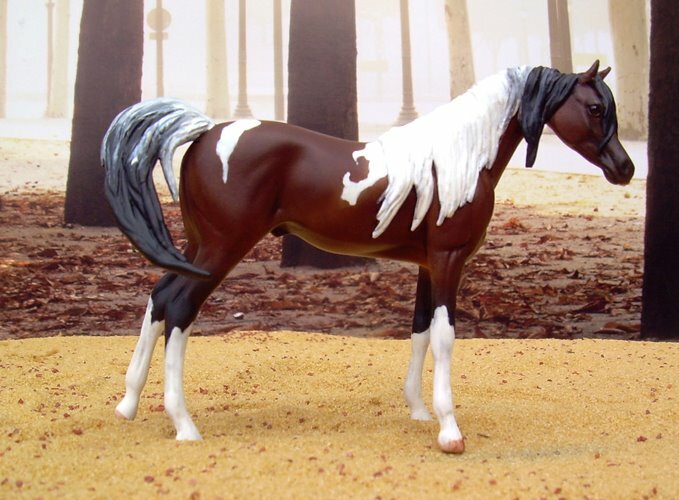 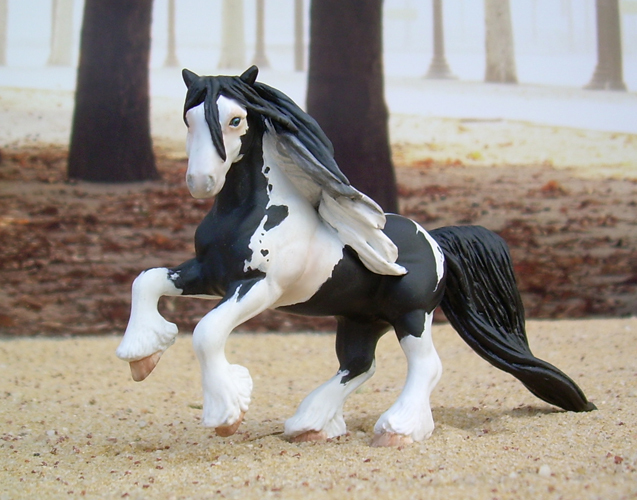 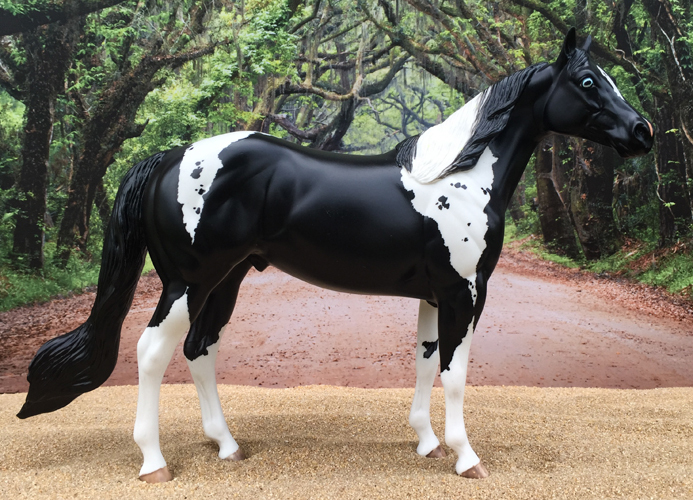 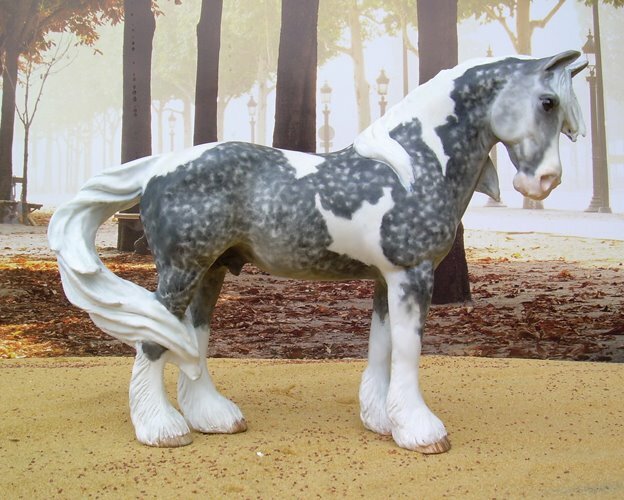 Commission Repaint LJJ Norman resin to a dapple grey Tobiano. 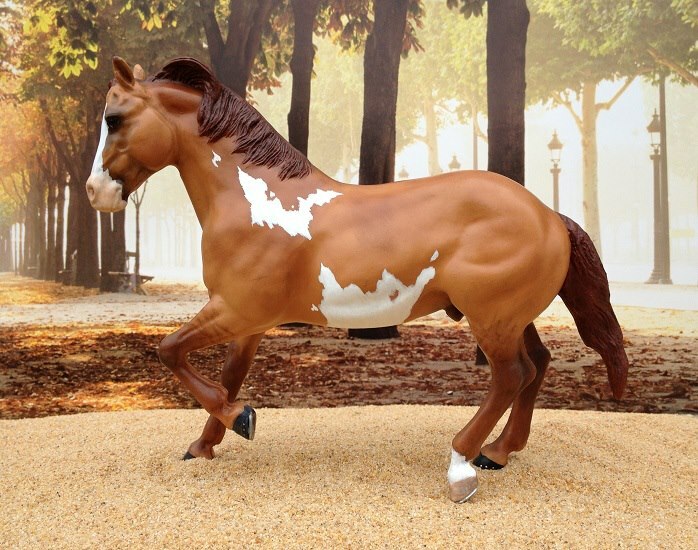 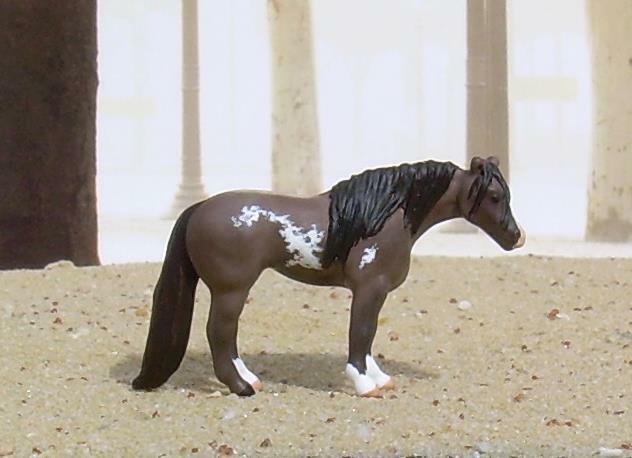 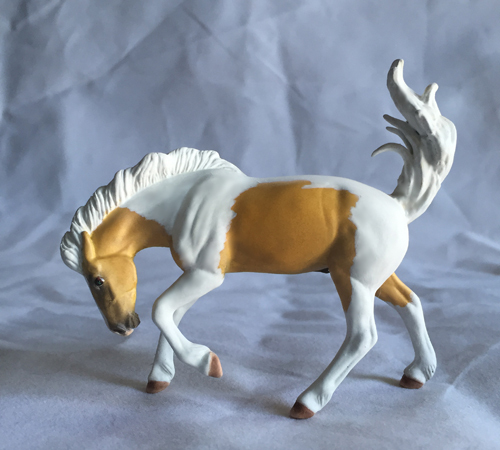 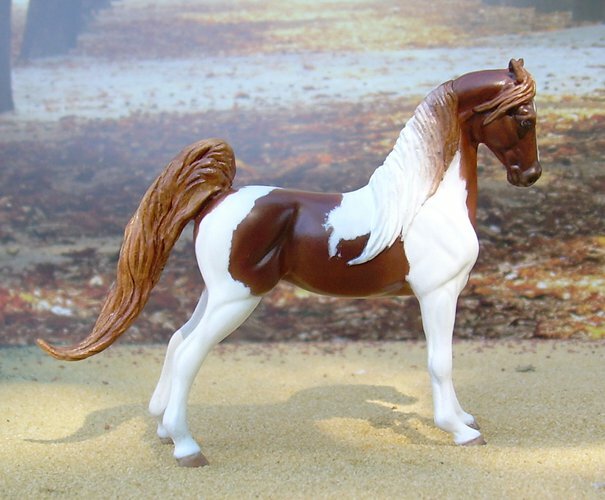 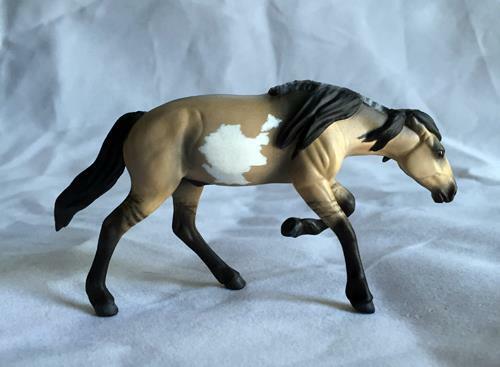 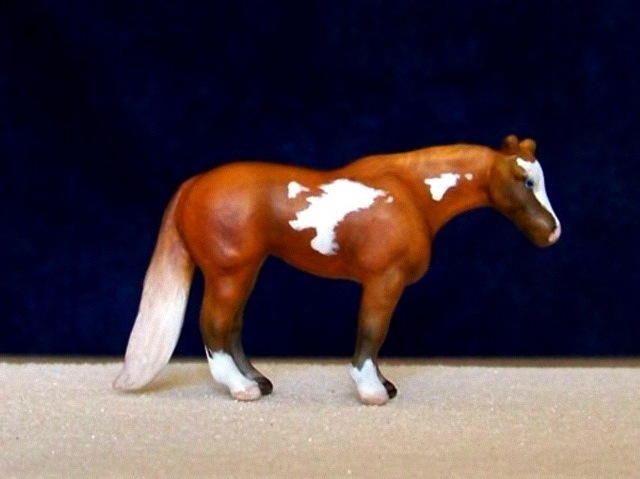 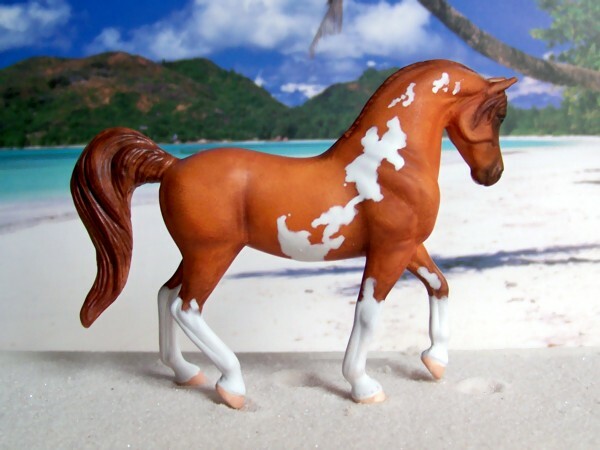 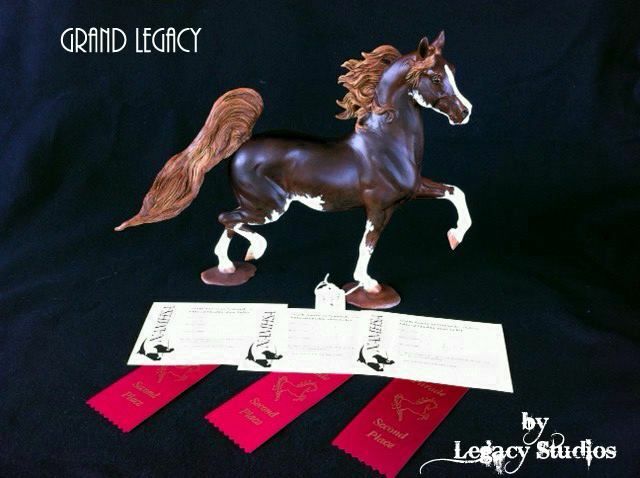 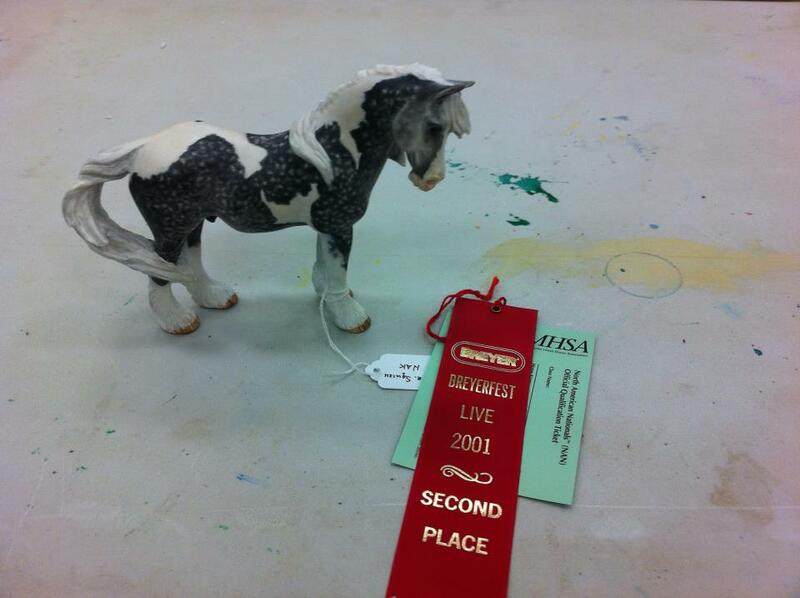 Breyer Huck Bey given a new tail and painted a liver chestnut sabino. 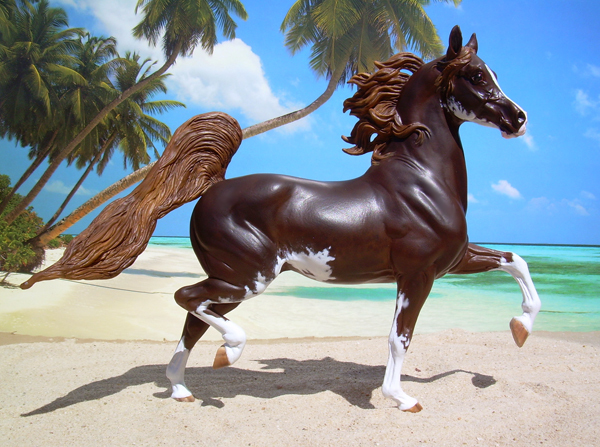 Personal collection.